Vistas have just released their brand new single Calm via LAB Records. It is available to stream/download now. Led by frontman Prentice Robertson’s soaring vocals, Calm showcases the band’s ability to yet again make an upbeat and catchy track, which is sure to go down a storm on the live circuit. The single has gone straight into Spotify’s prestigious New Music Friday playlist (564K followers), above Jack White and The Vacinnes. Calm is the fifth single out of five to be added to the playlist, which is no mean feat. Listen here. The indie/pop 4-piece have recently announced a headline tour for May, around Scotland. They kick the tour off at Aberdeen’s Drummonds on 9th May, and wrap things up in their hometown of Edinburgh at Caves on 13th May. Ahead of this tour, Vistas will be playing festivals Live At Leeds, Sound City in Liverpool in May and also supporting Circa Waves at their Newcastle show on 4th May. Full details and tickets can be found here. Vistas have just wrapped a UK tour supporting Leeds-based Marsicans. 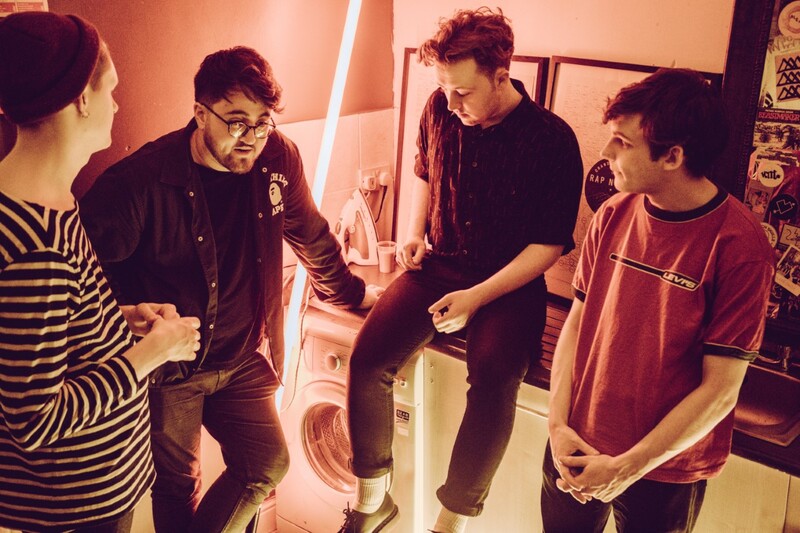 They played Birmingham’s Sunflower Lounge, and made their way around venues in London, Bristol, Glasgow, Manchester before finishing up in Leeds at Church on 10th March.